Size: Landscape 16.5 x 20 cm. We can personalise the first page with the bridal couples names and the date of the wedding and a poem/verse/message etc, please see personalisation for cost. You can choose the colour of the guest book from the handmade range of papers. A matching storage box is included. 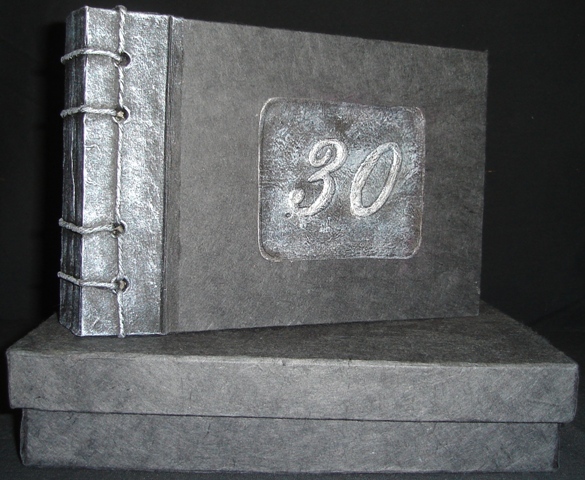 Other moulds can be made-up for the cover of the guest book, and is to be quoted on according to the design requested.